Germany will in the future introduce more Liquid natural gas (LNG) from the United States- will be built with state funding at least two new LNG Terminals in North Germany. Federal Minister Peter Altmaier said on Tuesday in Berlin that he expected a decision in the next few weeks: "I see in at least two locations, the Chance that we will be able to quickly realize something." possible locations for Terminals for LNG Import Brunsbüttel, Wilhelmshaven and Stade compete. There are private consortia have been formed. The Federal government wants to support the construction with state funding. Altmaier spoke of "substantial," but at the same time, manageable contributions. A concrete sum he did not name. There are various funding pots. The economy Minister also announced to undertake the gas pipeline operator, LNG terminal to the Gas transmission grid. So he would correct a decision of the Federal network Agency, the operator of the terminal would have to provide in Brunsbüttel itself for connection to the transmission network. This would increase the price of the project in Brunsbüttel to 80 million euros. In Germany, there is, as yet, not an Import Terminal for LNG. Ultimately, private investors decide whether they want to be around to risk a 500 million Euro for such a project. The Brunsbüttel consortium announced on Tuesday that it had won another major customer, and plan now to apply for a permit for a Terminal with a capacity of eight billion cubic meters per year. If the permission is granted, should fall by the end of this year, an investment decision. In Germany, would be needed in a transitional time in the future more Gas to the energy supply, as Altmaier said. Germany rises by the end of 2022-out of nuclear energy. By the end of 2038, according to a concept of a government Commission on the way in addition, step to phase out the coal-fired power generation. At the same time is supported in Europe, less Gas, for example, in the Netherlands. The neighbouring country, contributes around one-fifth of the German imports. The majority of the spent in Germany, natural gas is a small part of it comes from Russia and Norway, from our own production. Altmaier said at an LNG conference with German and American companies, it would now be on the Gas to diversify. Also LNG from the US could play a role. "With LNG, we can obtain Gas from more providers, and so our security of supply continue to increase - at the end it has to happen but of course at competitive prices." So far, LNG is playing on the European market a minor role and is mainly supplied from Qatar. In return for the provisional waiver to higher U.S. customs duties on cars in the EU was also President of the Commission Jean-Claude Juncker in the previous summer, US President, Donald Trump, among other things, promised that the EU would facilitate the Import of liquefied gas from the USA. 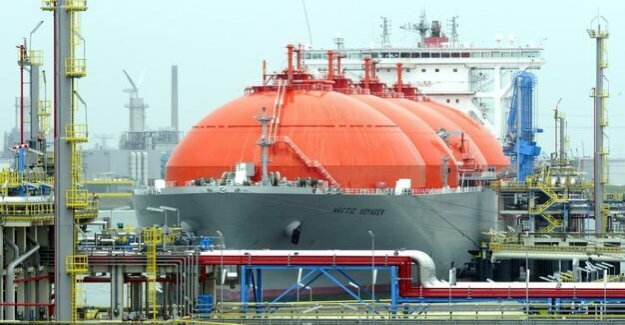 There are about 30 LNG Terminals in Europe, for example, in the Netherlands, but also in France and Poland. More are under construction. The US Deputy Secretary of energy Dan Brouillette emphasized that the United States could contribute to a significant proportion of European Gas demand. Prices would fall due to higher production capacities in the USA in the coming years. In addition, a decrease in transport would be expected to cost. Brouillette reiterated the criticism of the natural gas Pipeline Nord Stream 2 from Russia to Germany. The USA warn of a high dependence of Russian Gas. Altmaier, rejected the U.S. criticism of Nord Stream 2. He said that this is a question that will be decided in Europe. In the energy supply to Europe should not generally be vulnerable to blackmail. The EU States had agreed on a compromise that allows for the construction of the Nord Stream Pipeline 2 between Russia and Germany. "Germany does not need Fracking Gas from the United States,"
From the point of view of the energy Association BDEW can strengthen liquefied natural gas security of supply in Germany and Europe. The energy could either be used directly for fuelling Trucks or ships or in a gaseous state, into the natural gas grid. At the same time, the BDEW stressed, investors in LNG import infrastructure would have to be found on the open market. criticism of the course Altmaiers came from the Opposition. The Left-economic policy-makers, Klaus Ernst said: "Germany does not need Fracking Gas from the United States." The natural gas will be promoted in the United States, according to a controversial method of deep Rock, environmental associations complain of serious environmental consequences such as risks to groundwater.